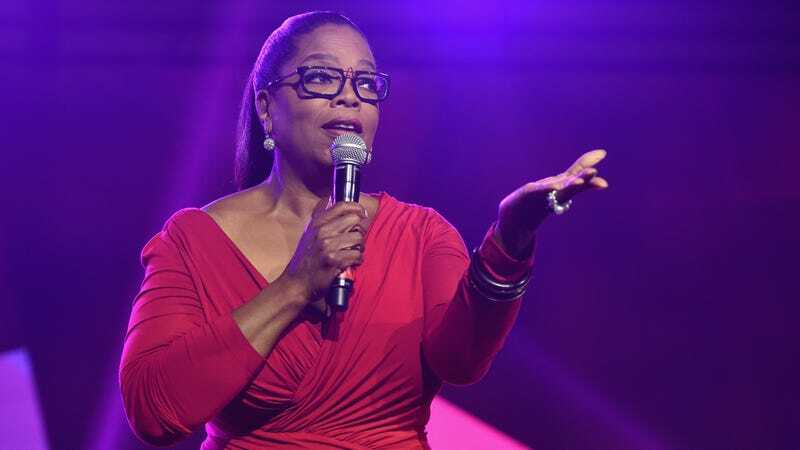 Oprah is teaming up with Kraft Heinz to create “her own line of refrigerated soups and side dishes.” It’s called O, That’s Good! That’s good, all right. Marketed as healthy riffs on comfort food, the inaugural offerings include mashed potatoes with cauliflower mixed in, creamy parmesan pasta with white bean puree replacing some of the cheese and broccoli cheddar soup infused with butternut squash. Winfrey was involved in the recipe development, including a trip to the Kraft Heinz test kitchen in Chicago . The ad campaign featuring Winfrey launches Oct. 2. Additional flavors include, via People: “Three Cheese Pasta (with added butternut squash), Creamy Parmesan Pasta (with added white beans), Broccoli Cheddar Soup (with added butternut squash),” as well as others. Load me up, Oprah.